Welcome to the MSO’s 2019 Education and Community Engagement program. Our season is designed to take you on a journey of discovery, exploration and extension. Explore the different program areas below. In 2019 we'll be unpacking film scores, exploring the solar system with Professor Brian Cox, and will visit a carnival full of dangerous, symphonic creatures! Family favourites Jams for Juniors returns in 2019, alongside two brand new Jams for Fams. Perfect for older children, Jams for Fams is the solution to the inevitable school holiday boredom! Beginning as a symphonic safari, and concluding on the land of the Eumeralla, MSO's annual Education Week is more exciting than ever in 2019! If you’re a music lover aged 18-35, now’s the time to get on board with Melbourne’s biggest band. 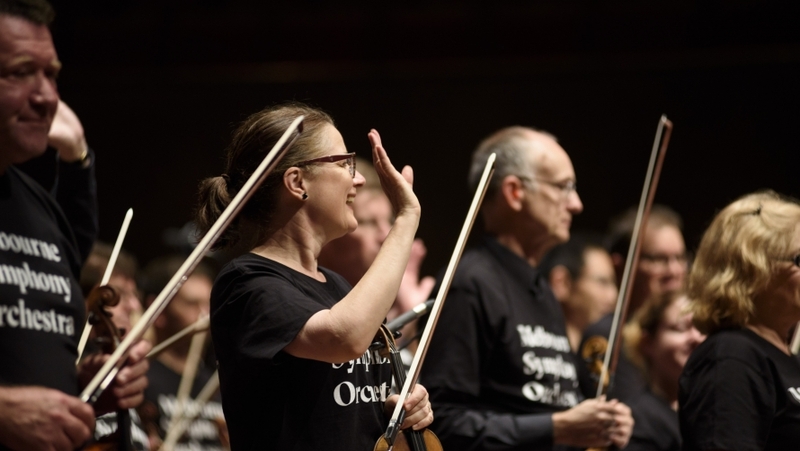 Access $30 tickets, exclusive events, meet-and-greets with MSO musicians! Free to join.